This pack has a footballing theme. 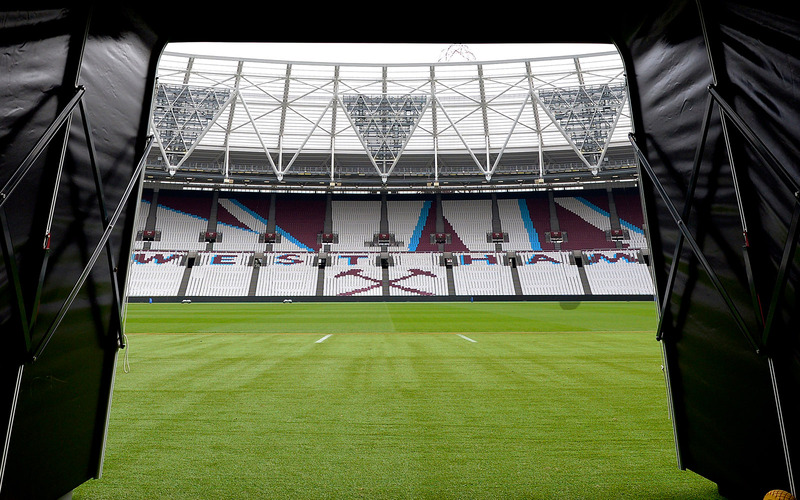 Pupils work within contexts such as being a football fan, stadium visits, and chasing moles from pitches. Every activity has aiming at targets as its focus. 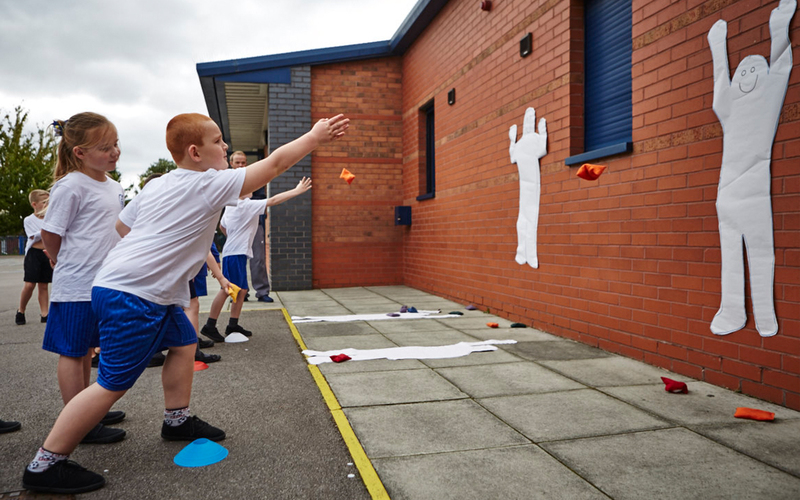 Pupils get to practise aiming, predicting, sending and reaching a target with a variety of equipment. 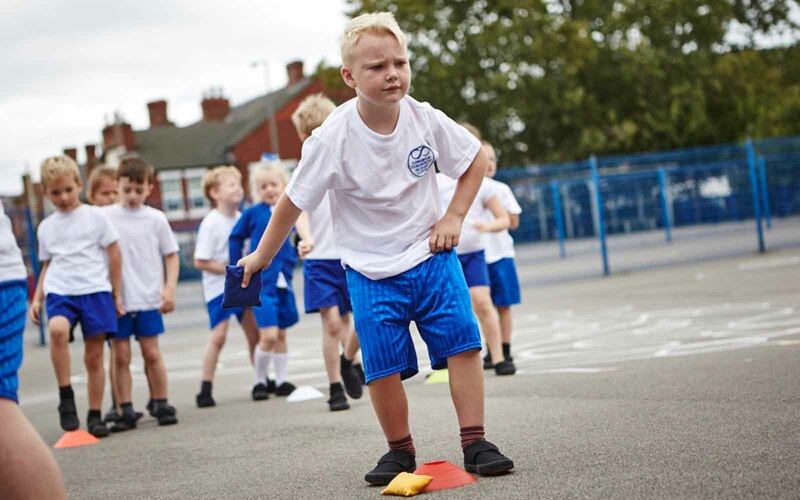 Using the theme of going on a football-stadium tour, this warm-up engages all pupils. 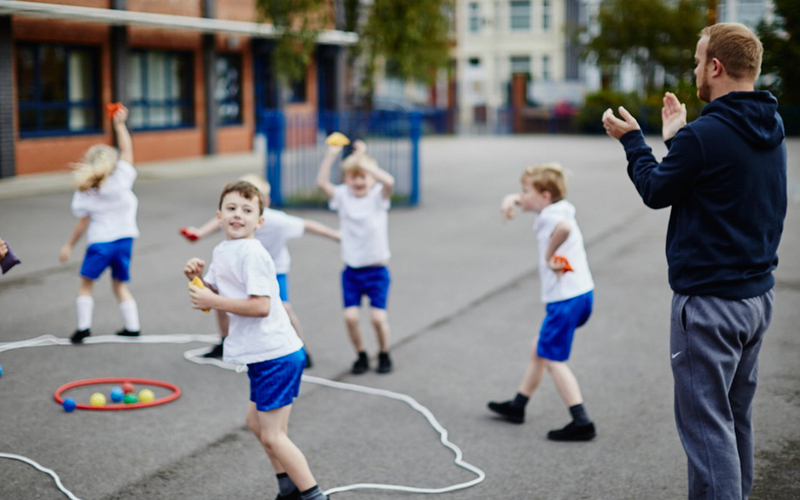 It will raise heart rates while pupils start aiming at a variety of targets and travelling in different ways. This film shows the skill development 'Dress the football fan' activity in action. 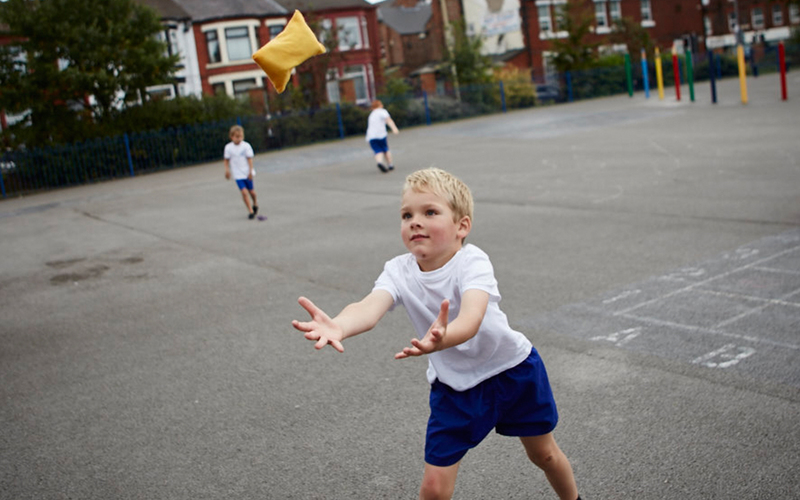 This activity helps pupils develop their throwing and aiming skills at a stationary target. 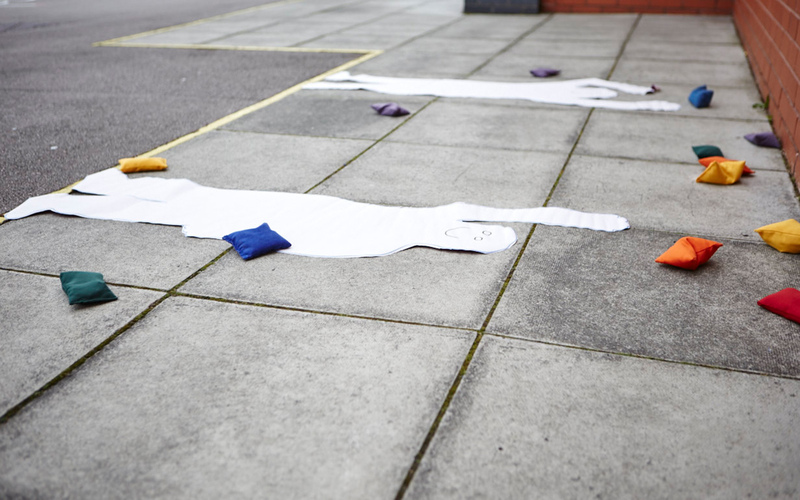 In this activity, pupils 'dress' a football fan (a pretend one!). 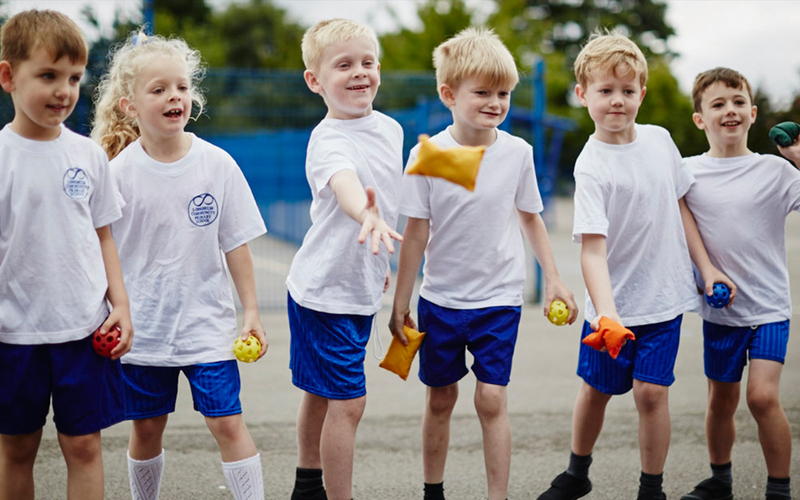 The fan is really a stationary target on the wall or floor, and the act of dressing it helps pupils develop accurate aiming and throwing skills. 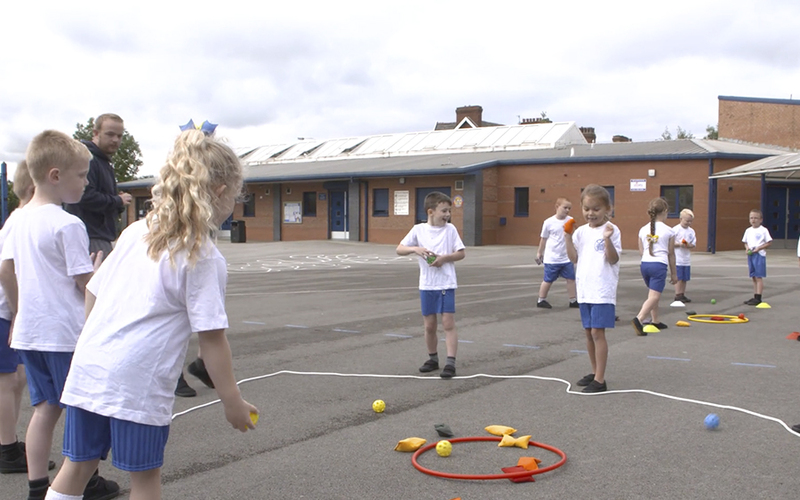 See how to put throwing and aiming skills into practice with the imaginative game 'Moles and holes'. This film demonstrates the game and how to differentiate it. 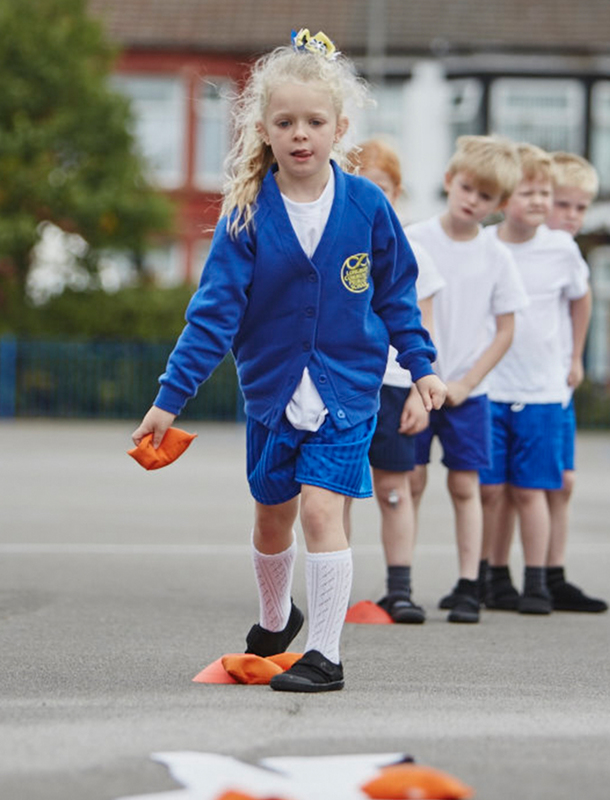 This is a fun game, in which pupils practise their aiming skills using the theme of moles at a football pitch. This team game provides fun competition, with opportunities to persevere and to work as a team. A fun way for pupils to recap what they have learned, as well as giving the rest of the group a chance to hear other pupils' ideas. This is a quick and fun activity that will help develop your underarm throwing at targets. You can play it on your own or with a friend.